Was Malaysian Prime Minister Najib Tun Razak’s decision to repeal a security act risky or inspired? ‘Malaysia PM risks political future,’ suggested one analysis of Najib Tun Razak’s historic decision this week to repeal the notorious Internal Security Act (ISA). However, one might equally argue that the embattled Najib has just handed himself a political lifeline by playing the one remaining ace in his prime ministerial hand. For a while now, Malaysian politics hasn’t been working. If not yet rivalling neighbouring Thailand’s level of political dysfunction, Malaysia, it was feared, was in danger of sliding into its own period of political paralysis and intractable civil strife. Now there’s a way out. Malaysia’s ‘Hibiscus Spring,’ inspired in part by the Arab Spring but at the same time the culmination of years of growing disaffection with the status quo, looked only recently as if it might destroy Najib’s administration. In July, the government, backed up by the draconian ISA, responded in the predictable and unimaginative mode of a failing regime: it used violence to crush the popular Bersih demonstrations in Kuala Lumpur, whose purpose was to call for a clean-up of Malaysia’s messy electoral system. With opposition leader Anwar Ibrahim hospitalised during the government’s heavy-handed crackdown, and some 1,500 protestors arrested, Najib appeared to be tarring himself with the dictatorial brush of those brutal old men so recently thrown down in the Middle East. However, it now appears that the ISA, rather than Najib himself, could be the most high-profile casualty of the Hibiscus Spring. As much as anything, it’s the ISA, introduced in 1960 to meet an emergency that was resolved decades ago, that has given Malaysia its police state character and provided the government with legal cover under which to stifle political opposition. It has long been a powerful symbol of Malaysia’s monopolistic politics. Without it, a more open Malaysia may finally emerge. ‘As a nation, Malaysia and all of her people now stand at a crossroads,’ said Najib, as he announced that the ISA would be abolished when the Malaysian parliament next convenes. This isn’t an overstatement of the decision’s importance. 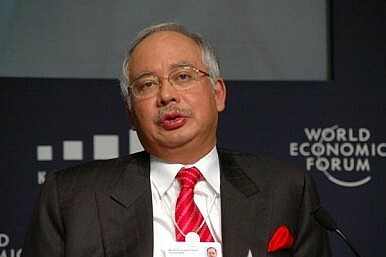 ‘It is absolutely clear that the steps I just announced are none other than early initiatives of an organised and graceful political transformation,’ he continued, pledging that he was working to make Malaysia ‘a functional and inclusive democracy.’ Najib has failed to deliver on his promises before, but ditching the ISA – and relaxing media laws, as he also pledged – is a powerful sign that he has listened and learned at least something from the summer clashes. So, if the Arab Spring helped inspire the Bersih protests, perhaps it also inspired Najib, making him realise that the writing was on the wall for him and the United Malays National Organisation (UMNO) if they continued to meet reasonable protest with violence rather than debate. UMNO may in any case elect to ditch Najib, whose ratings have fallen to 59 percent (very poor by Malaysian standards), according to the Merdeka Centre. Indeed, the repeal of the ISA won’t be popular among UMNO’s conservative constituents, and the move may in the end hasten, rather than defer, Najib’s departure from office. However, this much-maligned prime minister can be congratulated for taking a bold step that might not only redeem his time in office, but may also help restore the health of Malaysian politics.